BOOSTER Buddy is one of those simple, yet clever ideas. The Booster Buddy is a firm rectangular block made from EPE foam cushion. 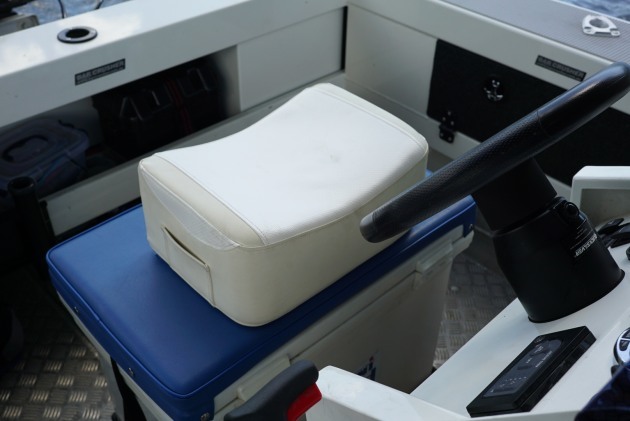 There’s a curved side, a carry handle and a pocket for your phone or keys, and it’s covered in a removable UV resistant marine grade vinyl in a creamy/white colour to match most boats. The idea, like most good ideas, is simple. It’s multipurpose in its use and would work for many different types of boats, from tinnies, to fly bridge cruisers and everything in between. Most boats come off the production line with very little customisation. The problem with that is we’re all different sizes, have kids onboard and all have different purposes for our boat. Often it’s these little problems with a boat which become big problems. One of the more common problems is poor visibility. 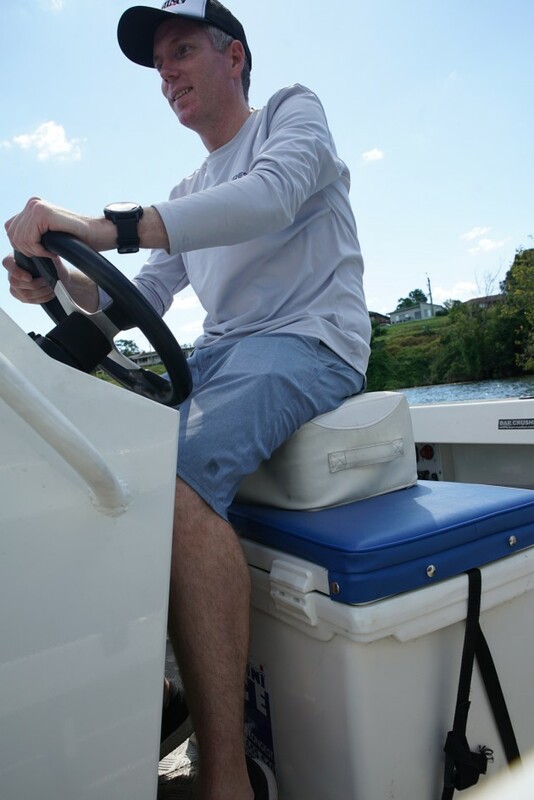 It’s important for anyone driving a boat to have a 360 degree view around the boat. Some seats, depending on the build of the boat or the height of the skipper, are too short. This can leave the skipper without a safe view out of the windscreen. I’m not short, but I have had this problem in certain boats with odd windscreen placements. Booster Buddy solves this. Simply rest the Booster Buddy on the bucket seat, sit on top and enjoy the view. While the Booster Buddy was probably designed with cabin boats in mind, I found it useful onboard my Bar Crusher centre console. Sitting on top of the cushioned ice box, it elevated my seat position to create a much safer driving position. Sure I won’t use it all the time, but it’s now a useful addition to the boat for use when visibility is critical. 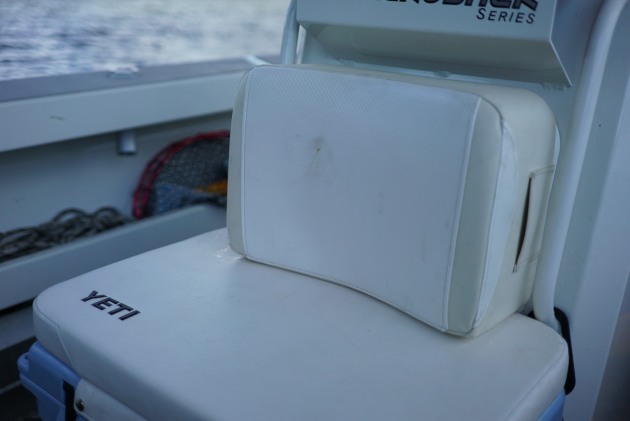 Interestingly, the Booster Buddy has found another use in my boat as a comfy backrest on the ice box in front of the console. It’s wide enough to firmly sit there without moving around when the boat is under way. Another handy application is to use it as a booster seat for kids, whether it’s a cabin boat, a cruiser, or even a tinny. 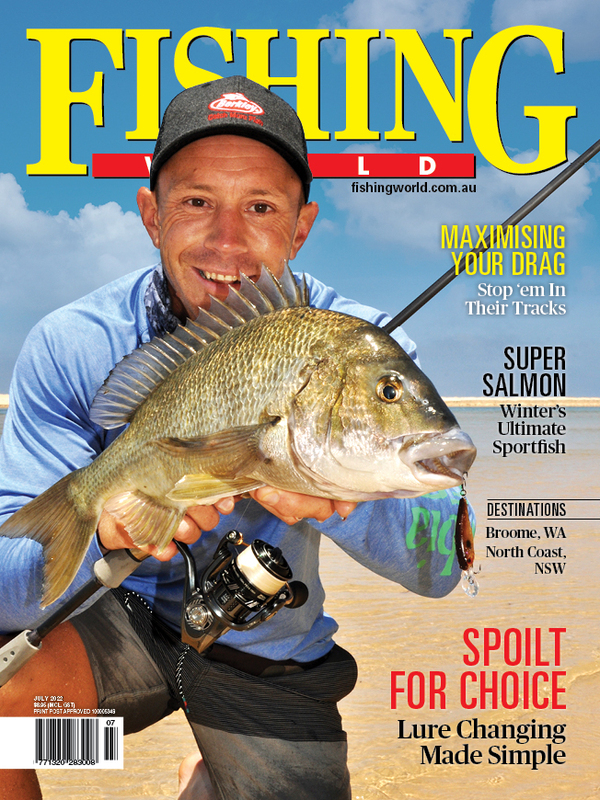 Booster Buddy really is one of those simple products which solves a problem for many boaties. If you have a low positioned seat, the need for added visibility, or just a nice firm backrest, the Booster Buddy is well worth checking out.